King, Vincent L., 88, of Providence, died Wednesday at RI Hospital. Born in Providence, a son of the late Thomas and Mary (Carr) King, he was the husband of Rena M. (Michela) King. They had been married for 65 years. Vin was a WWII Army Veteran and a member of the Sylvester-Paine VFW Post 174. He worked for the Providence VA Hospital for 31 years the last of which as the building maintenance supervisor before retiring in 1987. He then worked in maintenance at St. Matthew School for 4 years. 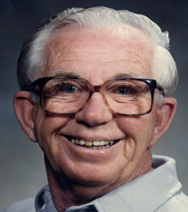 He was a member of St. Matthew Church for over 50 years. He was a member of the Cranston Council K of C. He and his wife Rena fostered over 35 children. Besides his wife he leaves 2 sons Michael J. King of Melbourne, FL and Dennis L. King of Palm Beach, FL He was brother of the late Thomas, James, Roger, Joseph Donald and Norman King, Edith Deuel, Muriel Votolato, Lillian Shoemaker, Mildred Barone and Irene King. His life will be celebrated with calling hours Thursday from 4:00pm to 7:00pm in the Stapleton Family Funeral Home, 684 Park Avenue, Cranston. Mass of Christian Burial at 10:00 AM, St. Mary Church, Cranston St. Burial, with Military Honors, will be in St. Ann Cemetery, Cranston. In lieu of flowers, donations in his memory may be made to Home and Hospice Care of RI, 1085 North Main St., Providence, RI 02904.